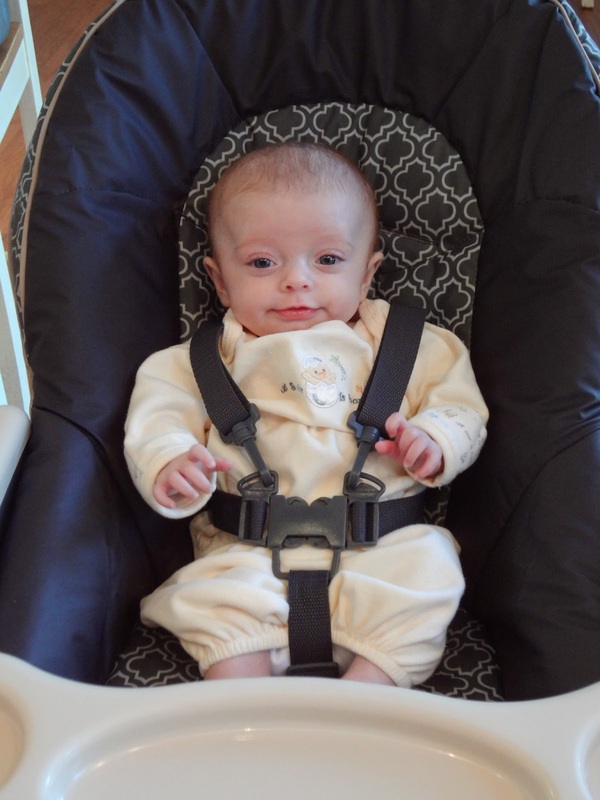 Testing out Caroline's brand new high chair. I'd say she's a fan. And now that she can join me in the kitchen she's earned the title of mommy's little sous chef. We made sweet potato and black bean burritos together. 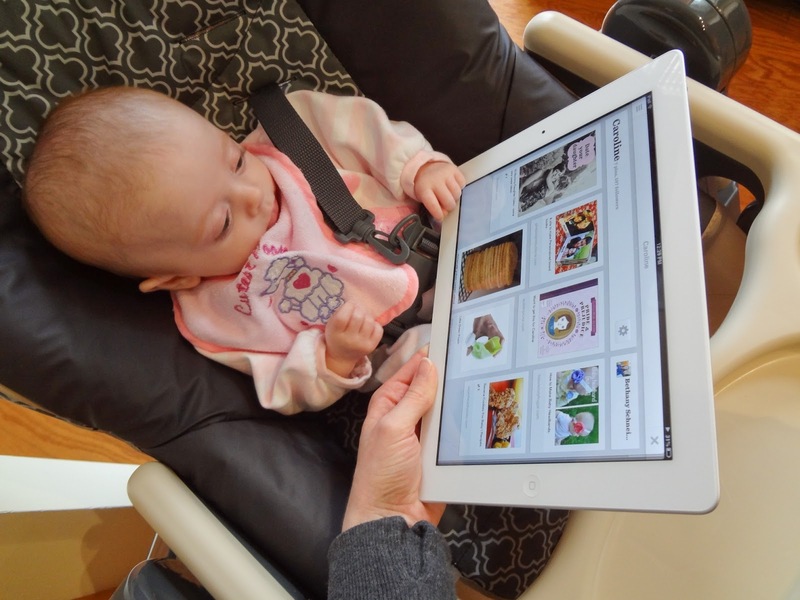 Teaching Caroline how to use Pinterest on the ipad while Daddy is at work. We had a long discussion about what sort of new haircut mommy should get based on Pinterest inspiration. Okay, maybe I did most of the talking. 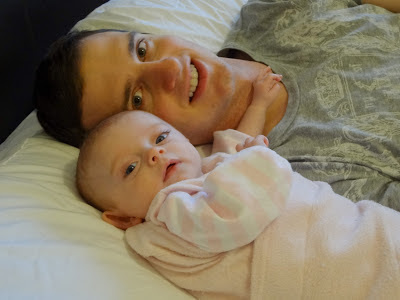 But she did a lot of cooing. I take it she liked the hair cut photos I pinned. Can you tell the high chair seems like the only time I have a free hand to snap photos? 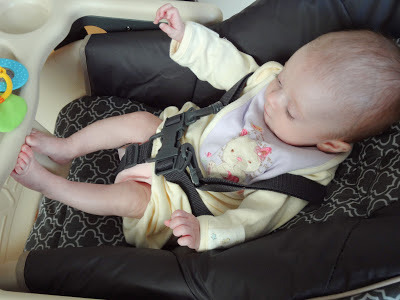 Caroline is so tiny in her high chair she uses the part that is suppose to fit between baby's legs as a foot rest. 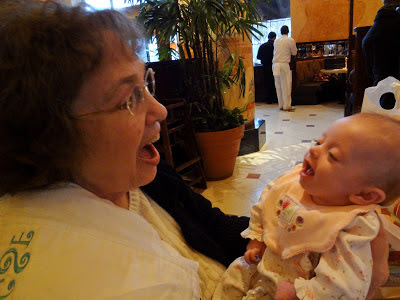 Saturday we went out to Cheesecake Factory to celebrate Gramps' birthday. C enjoyed learning animal noises with Grandma. It was her first restaurant experience and she did well. I like the wide variety of menu options at The Cheesecake Factory. C napped in the Ergo through almost all of small group Sunday night so she stayed up a little later with us. Mike gave her a spoon to occupy herself as she sat with us for dinner. 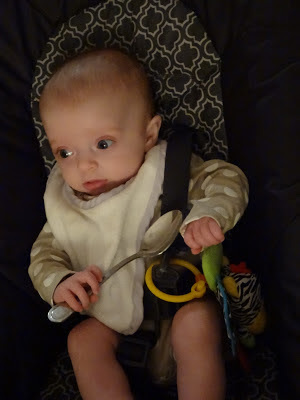 About 5 seconds after I snapped this photo she began to wildly flail the spoon about barely missing her noggin. I promptly confiscated the now dangerous piece of flatware. Solids may be interesting. Assisting Daddy in answering work e-mails. Or hampering his productivity. Depends on which way you look at it. Hi Bethany! Just hopped over from the Kelly's Korner link up and your little Caroline is a doll. 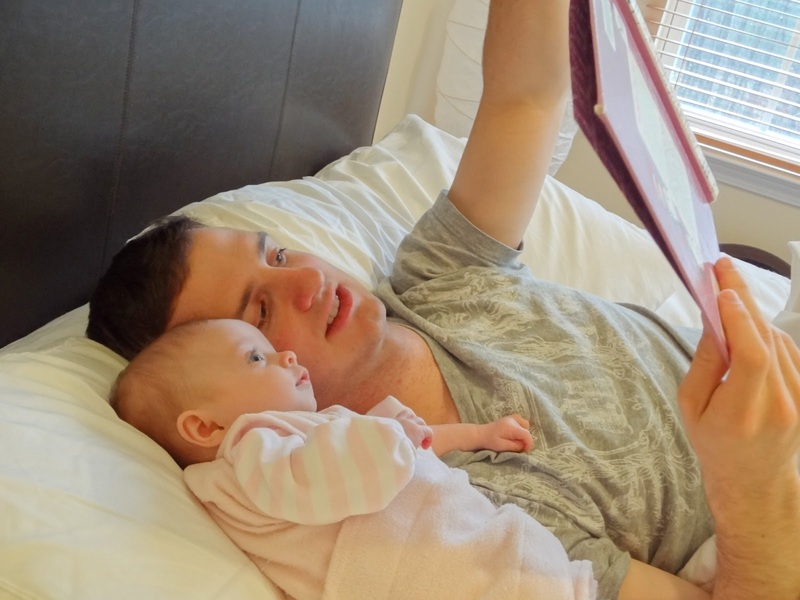 She looks like an UBBER happy baby and I love the pictures of her with daddy reading in bed. So presh! 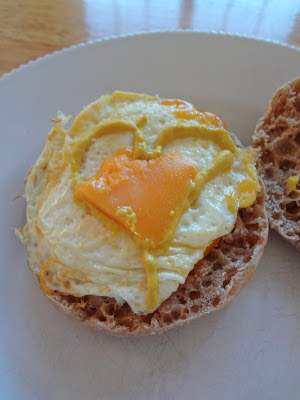 Love the blog and hope you'll stop by and follow back! Dear girl, this is one of my favorite posts thus far! Such a nice variety of family shots. :) I love seeing Mike and your mom with Caroline . . . so precious! 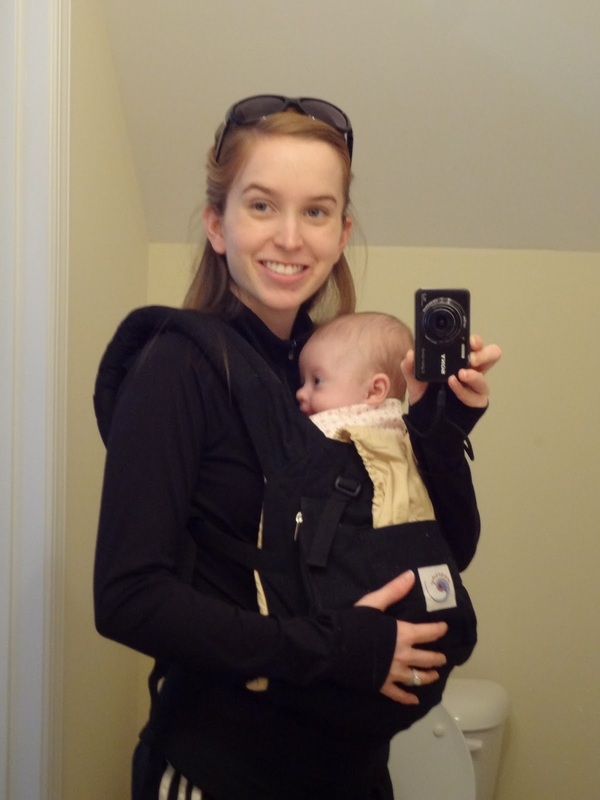 Spring is just around the corner and time for walks with Aunt Laura! Love you!